In an interview with Campaign, Martin Sorrell insisted his new company, S4 Capital, is listening to clients because they are "questioning" how agencies are delivering work. The former WPP chief executive has stunned the ad industry by returning to the fray and agreeing to buy Dutch content business MediaMonks just three months after leaving his old job. 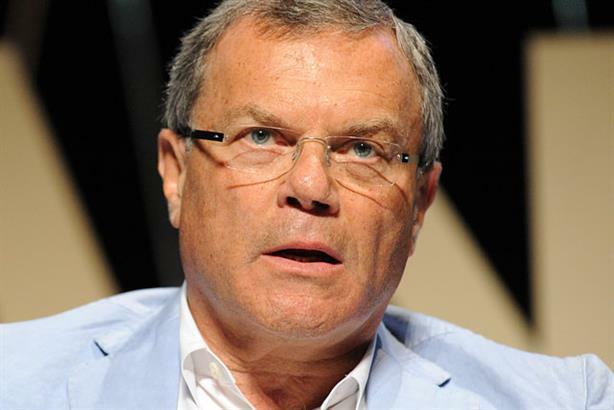 Sorrell said he has been listening to marketers such as Keith Weed at Unilever, Marc Pritchard at Procter & Gamble, and Andrew Clarke at Mars, and he believes S4 Capital’s focus on content, data, and technology and a more agile, flexible approach "is really in the sweet spot of what they’re talking about." Martin Sorrell: "The full details will be given in due course when the company is relisted [on the London stock market]. "The structure is basically the private equity company owned half the company and they’ve been taken out for cash. "The management owned the other half – and they are taking half shares, half cash." Reading the statement, there looks to be a number of differences with how you did deals with WPP. No. But the structure is different – no earn-out, the group will be run on a "single P&L" basis, MediaMonks already "co-locates resource" at both agency and client, S4 Capital will be "agile" and "flexible." This is clearly positioned as a different company and maybe reflects the fact that some people said they were directions that WPP needed to move in. "WPP is not a monolith. There is a number of different models inside WPP so I think it’s a bit unfair to say there was nothing like that in WPP. But, having said that, this is very different and built for a different age." S4 Capital has triumphed in a bidding war and some people say it’s got to be "a full price", even that you could have overpaid, given that MediaMonks has €110 million of annual revenue, so a valuation nearly three times annual revenues. "It depends on what you compare it [to]. I guess – I don’t know – the competition [rival bidders] had an earn-out structure which would probably end up being even more expensive. "The owners of the business didn’t want an earn-out. They didn’t want to be part of a larger entity. They wanted an entrepreneurial opportunity and they wanted to build on what is a very successful business. "The game-plan is laid out very clearly: firstly, build the platform that MediaMonks has even more broadly. There are some countries that we need to be in – India and Germany and probably Japan, although that would be more difficult. "Then, we need to develop our operations in media data and analytics. And the third area is digital media-buying." How easy is it to develop MediaMonks organically? Or is the intention to buy more businesses? "They [already] have a good reputation. Clearly, the biggest opportunity is to develop the business organically. "The initial focus will be developing existing clients and additional clients. Secondly, to compliment that with what’s necessary [in terms of acquisitions]. "This is a structure that listens or attempts to listen to what clients are saying – whether you listen to a Keith Weed [at Unilever] or a Marc Pritchard [at Procter & Gamble] or an Andrew Clarke [at Mars]. "If you look at all three of them, they have been quoted recently as saying what they want or need. This [S4 Capital’s focus on content, data, and technology and a more agile, flexible approach] is really in the sweet spot of what they’re talking about." "You’ve seen the quotes [from the Sorrell camp] about it being a weak and feeble attempt to destabilize the bid." How different an industry does marketing services need to become as clients’ needs change? "This is a $1 trillion (£754 billion) industry – not $1 trillion to $2 trillion as Ken [Auletta] said [in his recent book]. $500 billion is traditional and $500 billion is new areas [of digital marketing]. "If you take Google and Facebook together, they were $140 billion last year and they claim to be 75% of the market [in digital advertising]. "So if you say the [digital advertising] market as a whole is probably $200 billion of that [bigger, digital marketing sector of] $500 billion, that’s what we’re focused on. "Actually, listening to what people say reminds me of what it was like when we started WPP in 1985. We started in what we then called below-the-line areas of activity – the unfashionable areas – as opposed to above-the-line. We consolidated those areas and when you look at the new $500 billion [market for digital marketing], it’s fragmented and ripe for consolidation, I think, as that part of the business grows and matures. "That’s where the growth is and that’s where the consolidation opportunities will be in the longer term." You must be excited to have got started again. "You can celebrate for a nano-second. The deal is the beginning. I suppose it is the end of the beginning. Now all the hard work starts. "You move on to try to build the business. It’s a very good base. It’s a much different base to what we had at Wire & Plastic Products. "There was a design and printing company at Kidlington Airport called CAP whose iconic emblem was a frog and when you walked into the reception area, there were a lot of frogs about. "It’s a different time, a very different approach and a very different structure – one that is built for the future, not for the present and certainly not for the past." What’s your message for the marketing services industry as you return to the business? "What we’re trying to do at the combined S4 Capital and MediaMonks is what we believe to be the future, what we believe clients want. "We’re listening carefully to what they’re saying and trying to construct a company of scale that meets those needs. "And we’re coming at it with a purely digital point of view. We’re not coming at it from a traditional point of view. "We’re trying to tailor something and develop something that’s new and fresh and exciting – not just to clients but to people in the industry. "The rate at which MediaMonks receives inquiries from people for jobs is incredible. The talent certainly finds it an attractive destination. "The question is: how can we harness all that energy, motivation and talent to make sure we deliver what clients really want? Because clearly clients are questioning how things are delivered and how work is delivered. "They’re not questioning the creative product or the quality of the work – they’re questioning the way that quality creative product is delivered. "The message is: What we’re trying to do is to build the future platform or model – however you want to describe it."